This was not really SandBar material, but I was asked to move a copy up top. It is a chillingly stark reminder of the sacrifices made. Snagged this from a friends FB page. Can you sticky this for a few days or weeks? Too bad more people dont understand the sacrifices made by our military! I have spent some time in Section 60 of Arlington Cemetary. Absolutely heartbreaking and very sobering. I spoke with one father sitting on his son's grave celebrating his son's birthday "with" him. Sticks with me even to this day esp as my son has been in Iraq and Afgan now since 2007. Here is the link to go with the picture. Here's more on the photo and the woman in the photo. I can't look at that too long or thank our service men enough for what they do. Yeah I saw that in the sand bar and thought the same thing, that it should be made so everyone can see it. Sad thing is the words on it are so true. 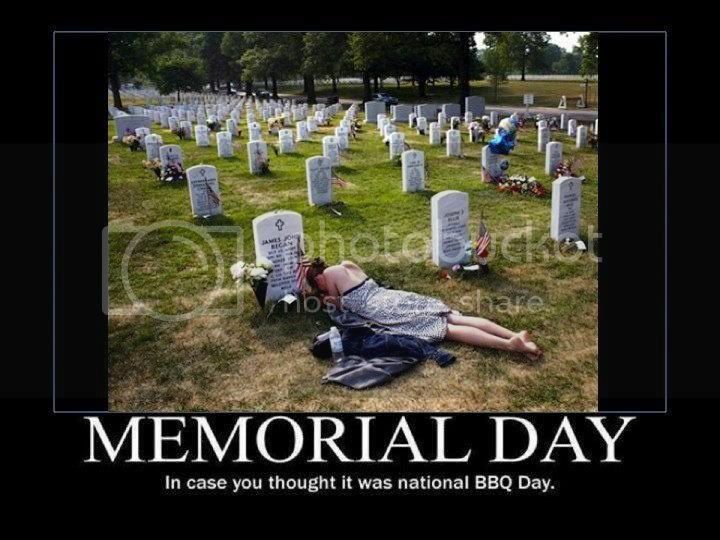 Most people taking the day off for a BBQ have no idea why they are able to do that. Thanks again to all our past and present soldiers. Damn, I teared up in my office. That's a stark reminder what it's all about. People have to reach some type of closure. Think how hard it must of been to visit that site. All the words she wanted to say to him that she never got to say. It was a good thing for her to help cope in the future. If you teared up over the photo like I did, read the story. Thank you Mod 4 for posting the pic. I also believe it should be stickied so we remember, every day, the extreme sacrifices made by our brave men and women in the military. X2, Thanks Mod 4 for sharing with everyone. I can't imagine why anyone would be upset with keeping this post upfront for us to remember our troops and their love ones.